Changi Airport may be the last stop before one departs for long-awaited holidays, but the complex makes for more than just a quick breather—what with all kinds of stores, restaurants, and attractions within. And now, it once again expands with Jewel Changi Airport, where a host of over 300 retail and food concepts will be opened from 17 April this year to create one of the largest shopping and dining hubs in the East. While it is no doubt a go-to option for weekend meals with the whole family, the variety can be a tad overwhelming—so here are some of our must-try in the food and beverage department that we are certain both parents and children will love. 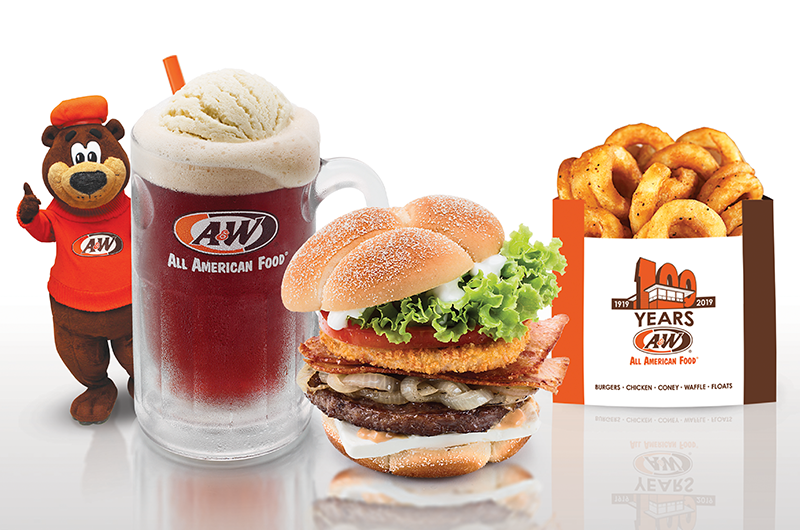 Sixteen years after it shuttered its last outlet in Singapore, American fast food and root beer pioneer A&W will be making its triumphant return to our shores. Operating round the clock to serve both tourists and locals, this retro joint will be serving up classics such as the Chicken/Beef Coney Dog and their in-house A&W Root Beer made fresh daily, as well as new bestsellers from various regional A&W stores. Kids will be able to enjoy an A&W Beary Meal, which includes a main, French fries, and a drink served in a cute Rooty the Great Root Bear barrel. A&W is located at #B2-209, open 24 hours daily. If you’ve visited places like South Korea, Japan, or the US, chances are you’ve tried—and loved—the iconic American fine casual dining eatery Shake Shack, best known for their burgers and milkshakes. 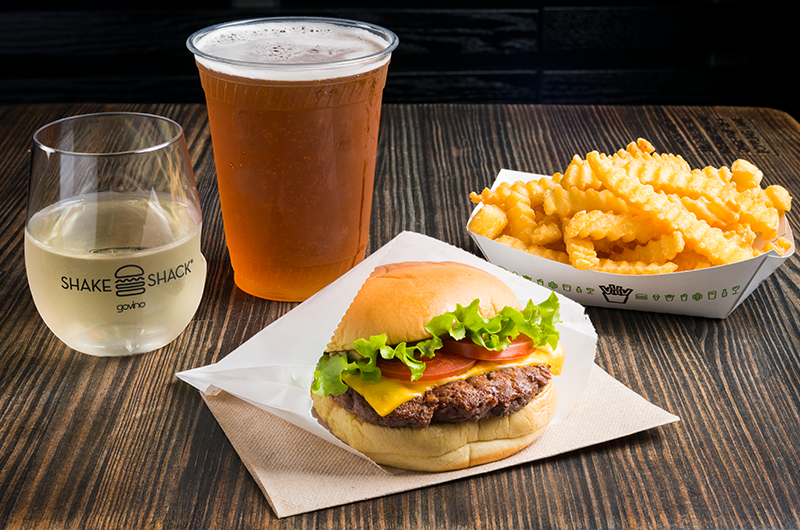 Now, you don’t have to grab your passport to have your favourite Shake Shack signatures as the brand’s first-ever Southeast Asian outlet has made a home at Jewel Changi Airport. Grub like the Shack-cago Dog, ShackBurger, and ‘Shroom Burger can be paired with Singapore-exclusive frozen custards (mango sago, anyone?) and the Pandan Shake, their very own rendition of the familiar pandan and coconut flavours. Shake Shack is located at #02-256, open 10am to 10pm daily. 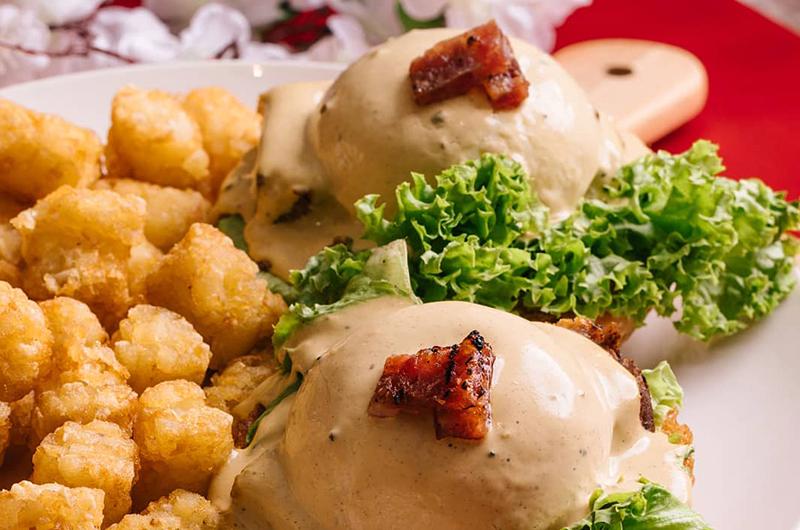 A weekend out is often accompanied by brunch, and Eggs ‘n Things is definitely one of the places in Jewel Changi Airport that serves them best. With fresh fruits, in-house baked bread, and organic meats in their selection of products, the Hawaii-based eatery’s second outlet in Singapore will be sure to answer the whole family’s hearty meal needs—parents can partake in their special blend of coffee, while kids chow down on their fluffy pancakes packed with whipped cream and fruits! Eggs ’n Things is located at #03-227/228, open 10am to 10pm daily. 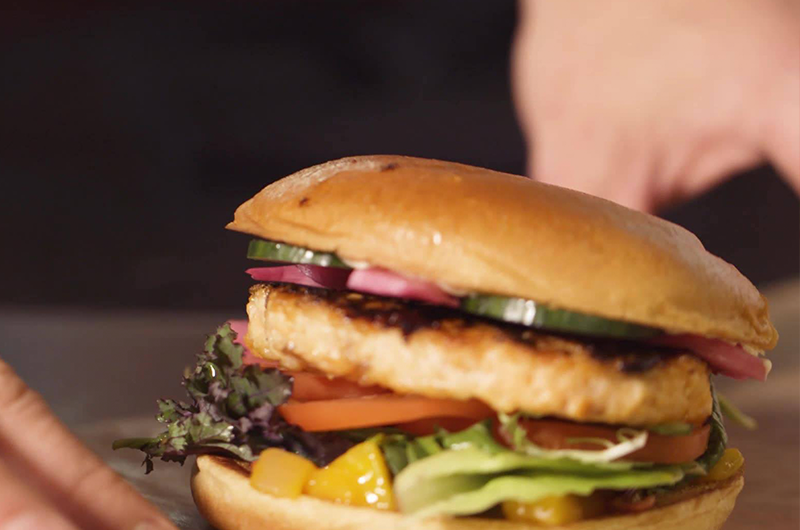 Casual Western dining may be all about burgers, but fish—and in particular, salmon—gets an all-new, easy-to-eat take with Pink Fish, a fast food chain from Norway. 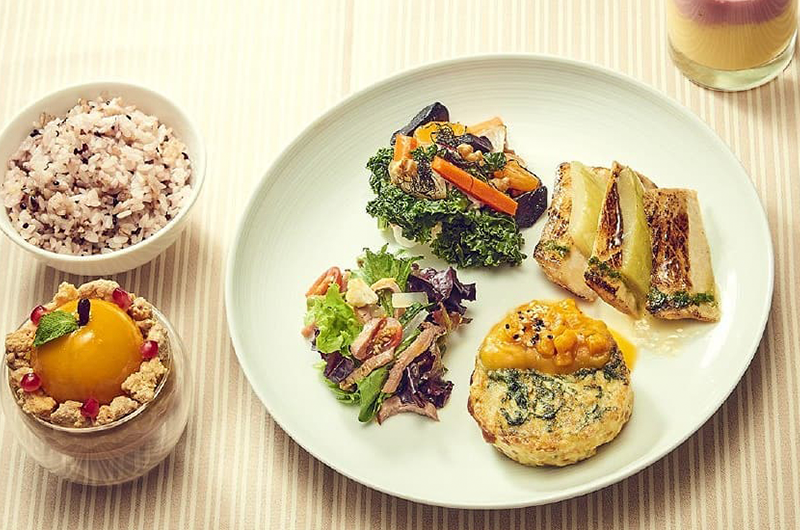 With Jewel Changi Airport as their first international outpost, salmon takes centre stage in salads, wraps, burgers, and soups in compostable packaging. The restaurant’s amenities are also a huge plus—free Wi-Fi and power outlets are readily available for patrons to use at all times. Pink Fish is located at #B1-261/262, open 10am to 10pm daily. In a fresh new twist on Western casual dining, Herit8ge – 回忆 presents localised versions of burgers, fish, and chips. The rustic interior, porcelain kitchenware, and old-school decorative elements like the trishaw and tingkat take one back to 1970s Singapore—an interesting setting that children will enjoy exploring. Herit8ge – 回忆 is located at #05-206, open 9am to 3am daily. Fast food doesn’t have to be all Western. 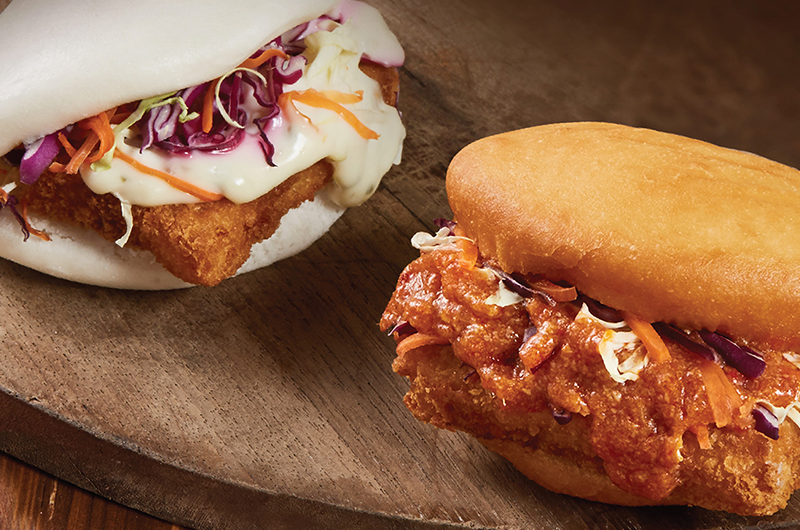 Hawker serves up Singapore-influenced versions of the usual fast food offerings—think fried bun sandwiches instead of hamburgers, and prata wraps instead of flatbreads. Their crab offerings are definitely a must-try. Hawker shares the same parent company as the famous No Signboard Seafood Restaurants. Hawker is located at #B2-263, open 24 hours daily. 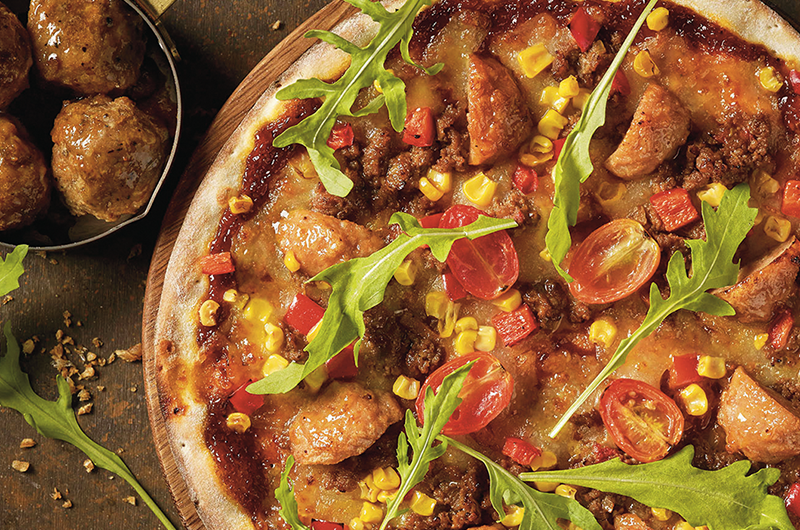 Children who love to get creative will surely have a blast at Project Pizza, where over 50 toppings can be chosen to create your perfect pizza. Each one is made to order from scratch and customisable from S$5.90 too—an affordable, fun option for family meals! Project Pizza is located at #B2-260, open 24 hours daily. Need a break after exploring the huge mall? 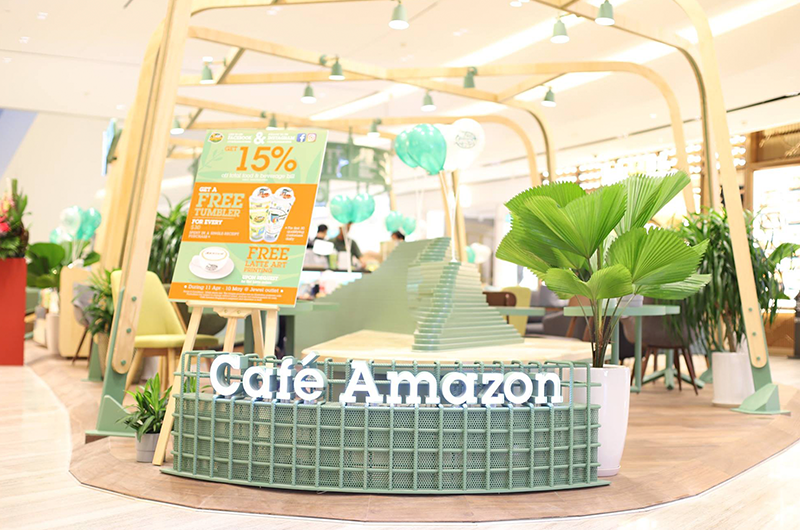 Enter Café Amazon, a Thai coffee chain that has finally made its way out of the Land of Smiles into the Little Red Dot. 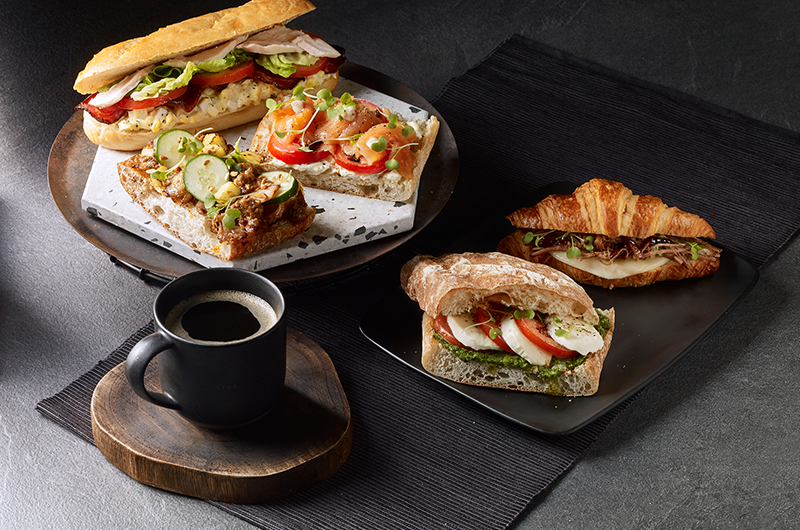 Grab a sandwich or cookie along with their award-winning fragrant coffee blend for tea at Jewel Changi Airport, along with a cake or two for the kids. Café Amazon is located at #04-225, open 10am to 10pm daily. Get your Starbucks fix at the country’s largest store, a duplex outlet in the heart of the region’s top air hub. Alongside a specialised menu of locally-inspired offerings, elegant indoor landscaping, and plush comforts, the Jewel Changi Airport shop will also be offering the four-tap Nitro for Nitro Brews—only the second of such taps in Asia. Perfect for mum and dad to grab a drink and indulge after a whirlwind trip with the whole family. Starbucks is located at #02-204, open 9am to 11pm daily. 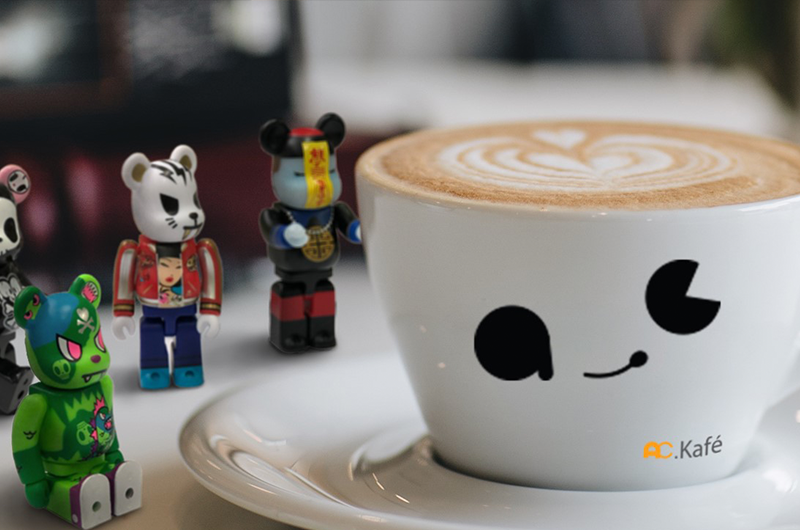 Dive into a fantasy world at AC Kafe, a Designer-Art Toys-themed café in Jewel Changi Airport, the first of its kind in Singapore. Featuring the works of a variety of artists, designers, and sculptors, this family-friendly establishment brings whimsical characters to life for an exciting tea time. AC Kafe is located at #04-223, open 10am to 10pm daily. Wildly popular Japanese lifestyle brand MUJI is back with a duplex store at Jewel Changi Airport, which features the third branch of Café & Meal MUJI, the brand’s food and beverage arm. Nestled on the second level, the eatery makes for a spacious, homey setting for families to relax—and maybe drop by the shopping area as they wait. Café & Meal Muji is located at #02-227/228/229, open 10am to 10pm daily. There’s always space for something sweet—and for the ‘gram! Boston ice cream parlour Emack and Bolio’s handles both with their aesthetic cones and exciting palate. 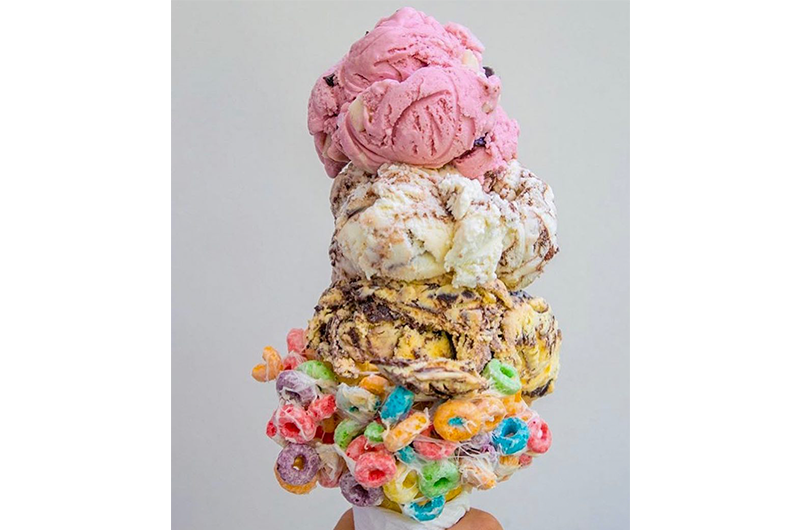 Pick from a range of 35 flavours including Cookie Dough, Peanut Butter Oreo, and Black Raspberry Chip and a variety of funky cones for a cool and adorable treat. Emack and Bolio’s is located at #B2-234, open 10am to 10pm daily. Prefer to go for healthier options? 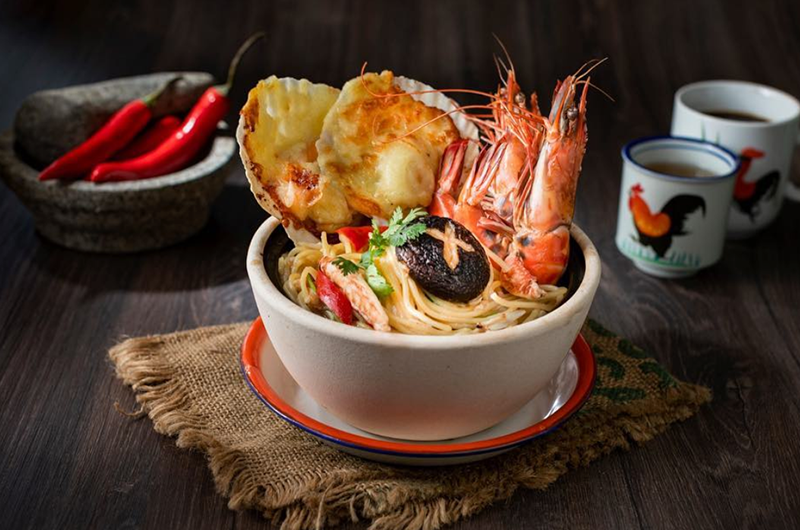 Homegrown brand Nectar will also be at Jewel Changi Airport, where indulgences come with a splash of healthy food in the form of fruits and preservative-free tastes. 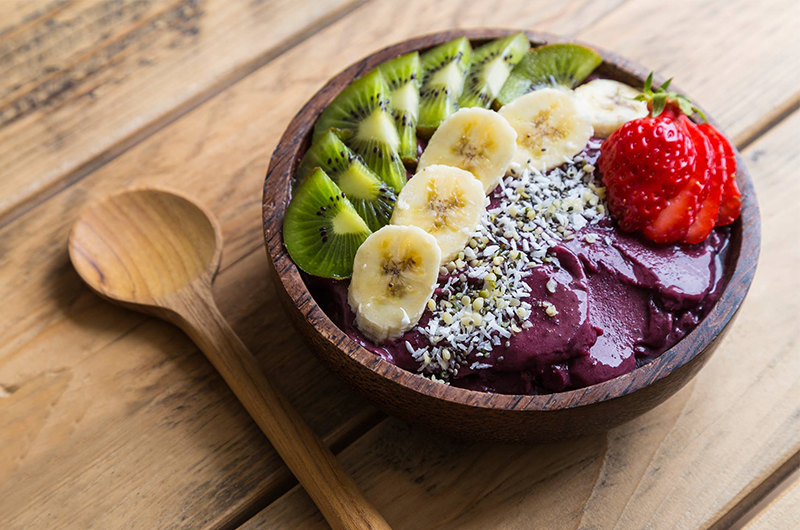 Get your acai bowl and frozen yoghurt parfait cravings satisfied here! Nectar is located at #03-213, open 10am to 10pm daily.